Please use the widget below to book, or alternatively give us a call on 01729 830729. The restaurant is open every day from 12pm, with last seating at 8:45pm. 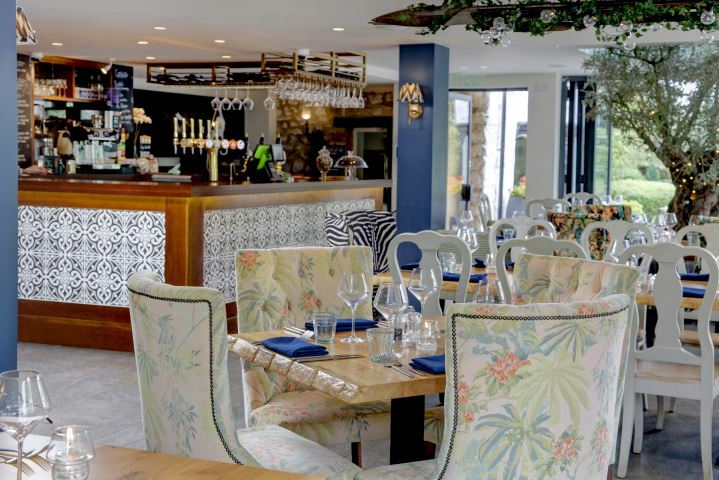 Dining is available in our stunning streamside restaurant and bar. Dogs welcome. Regrettably we are unable to reserve tables in the outside terrace and garden areas, these are on a first come-first served basis.